Game over, season over. 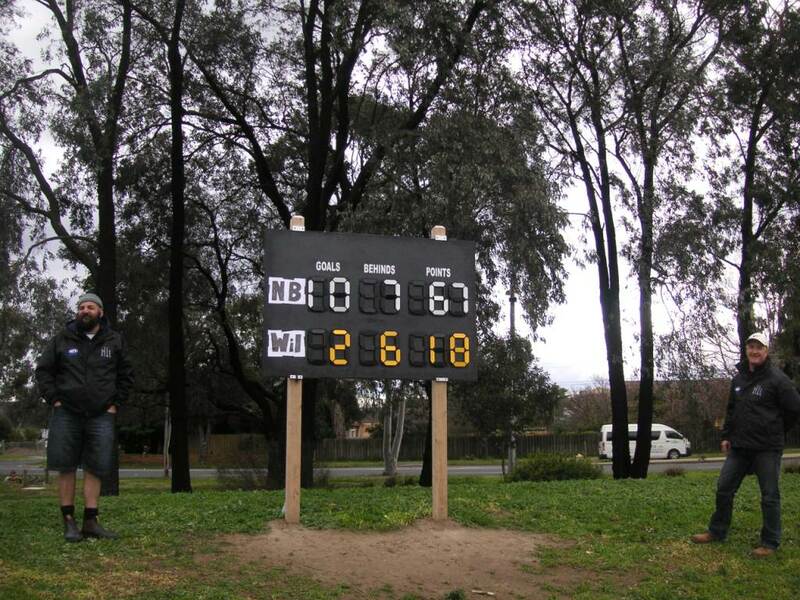 Victory, and the Division 1 flag, for North Ballarat. 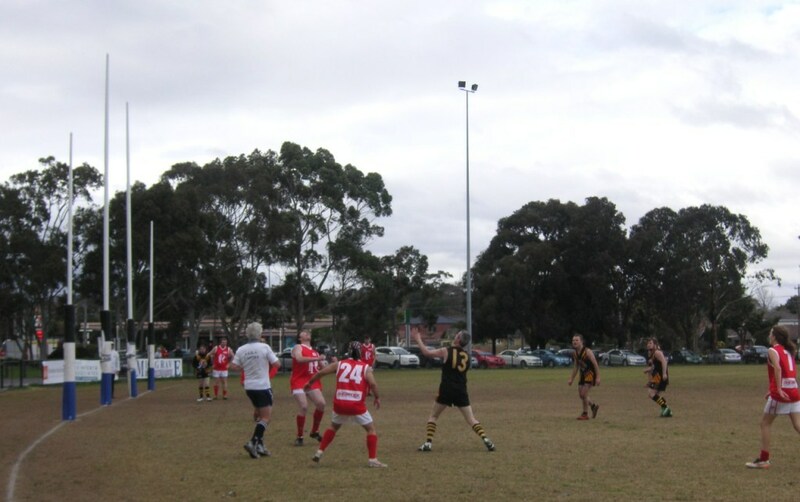 Windy Central Reserve in Waverley was the setting for the 2013 FIDA Grand Finals on Sunday 18 August. 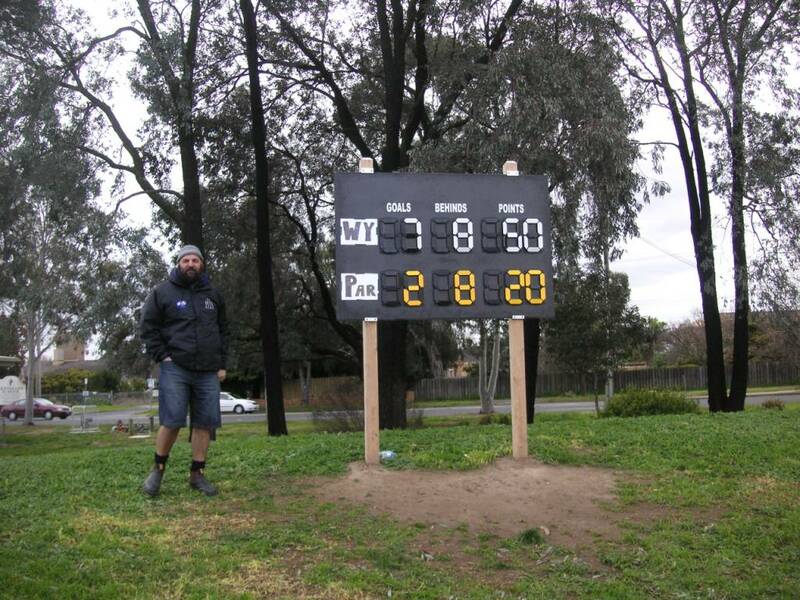 The ground is next door to the old Waverley VFA ground and not far from the old VFL Park/Waverley Park. It is the home ground of Mazenod Panthers in the FIDA comp, Mazenod Old Collegians in the Amateurs, and Richmond Cricket Club in the Victorian Premier Cricket comp. FIDA, the Football Integration Development Association, is a league for footballers with intellectual disabilities. Spot the ball at the ball-up. (No, I can’t find it either.) Parkside (red) and Wyndham in the Division 2 Grand Final. 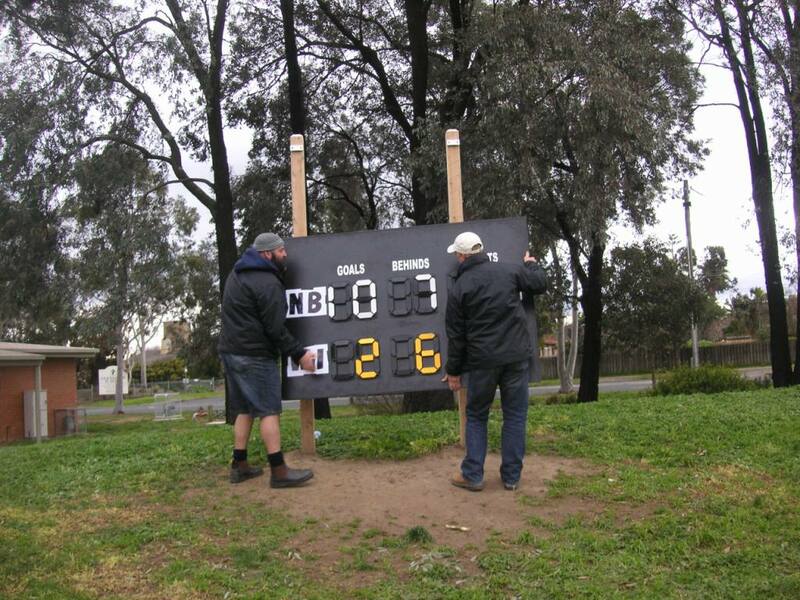 Note the Mazenod club colours on the goalpost padding. Final score Division 2. A windy win for Wyndham. A fleeting forward foray for Williamstown in the last quarter of the Division 1 Grand Final. The siren sounds, the scoreboard comes down. See australianrules.com.au for the Division 1 Seniors match report by Williamstown coach Rob Klemm.